There is one thing my husband and I agree on every time - that there is nothing better than slipping on a pair of brand new, soft, comfortable socks!!! So this Father's Day, that is just what my husband and father of our children is getting! Gold Toe socks (just named best men’s dress sock by GQ, and featured in Esquire) would make a great gift idea for any Father this Father's Day - every Dad wears socks and, if they are anything like my Dad and my husband - they go through socks like crazy! My husband (and I!) LOVES Gold Toe's PowerSox! 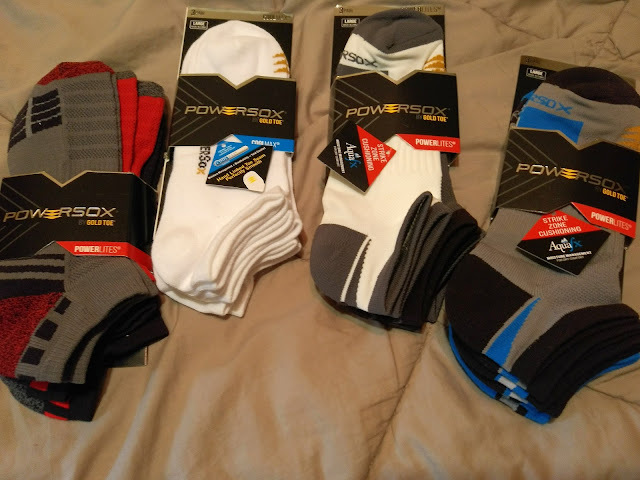 Each pair of PowerSox contain features such as AquaFX moisture management, arch support, strike zone cushioning and breathable vents deliver constant support to your feet, allowing for consistent performance in the gym, yard or company softball game. These socks are so comfortable, supportive and last so much longer than other brands we have bought! You can purchase Gold Toe socks from their website. And make sure to take advantage of their 40% off sale for Father’s Day, valid 6/4/17-6/18/17!! !